A strong feng shui front door will help you attract great energy for your whole home or office, as it is through the front door that the space receives its energy or Chi nourishment. A house with good and nourishing Chi will do wonders for your health and well-being, as well as many other areas of your life such as your career, love life, etc. so it makes sense to work on attracting best possible Chi, or energy, to your space. The easiest way to find the appropriate feng shui decor – be it colors, shapes or materials – for any door is to treat it according to the feng shui element of its direction. If you are new to feng shui, no worries, we will try to make it as easy as possible for you to define the best colors and most appropriate decor for your front door. The first thing to know is that an east-facing door is a door with the compass reading from 67.5 to 112.5. An east-facing front door greatly benefits from all decor details that express the feng shui element of Wood, because this is the governing element of the East feng shui direction. Wood feng shui element colors are green and brown. It is important to know that feng shui always gives you several choices when it comes to best decor decisions for your home (or office), so if Wood element colors do not work well with your overall house color and style, there are two more feng shui elements colors to choose from. These additional choices are based on the five elements feng shui theory, particularly on the productive element cycle, where we look at the elements that support or nourish the governing element of a specific door direction. In the case of an East facing door, you are lucky, because there are two more feng shui elements to choose from, which means more colors to explore! The Wood feng shui element is nourished by the Water feng shui element and supported by the Earth feng shui element, so you can also choose the colors of these two elements in your search for best East facing front door color. 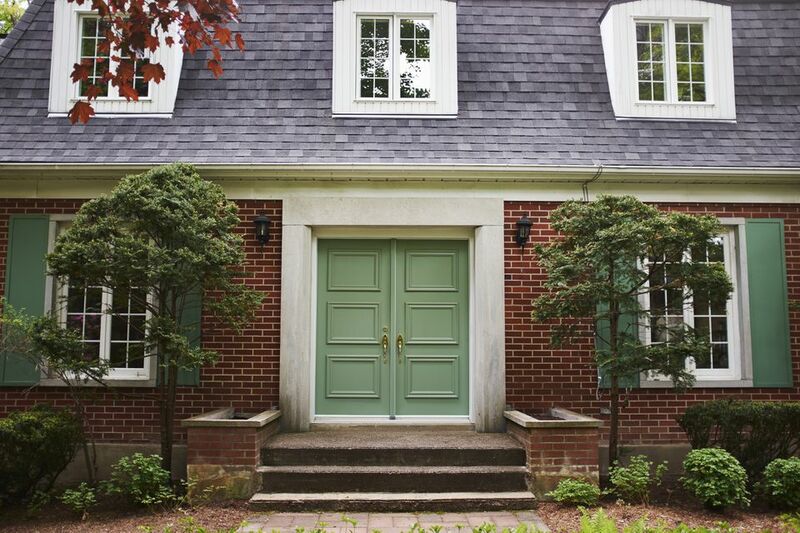 Avoid the following colors for your East facing front door: red, purple, white and gray colors. These colors represent the element of Fire and Metal that are destructive to Wood (according to the five elements destructive cycle).